The Pat Lane sponsored competition at the weekend was cancelled due to the weather and will be rescheduled for later in the season. This coming weekend we will have two competitions, one on Friday & Saturday and one on Sunday and Monday, with both competitions sponsored by O’Toole’s SuperValu. The second Wednesday open takes place also and with good weather forecast numbers should be good. The club have printed a new set of score cards which will be in use from Good Friday onward and include the change of indices on holes 1 to 4 and holes 17 and 18 for the men. Results for ladies 14/4/19 Belleek Living. There was no winner of our lotto jackpot worth 2,900 euro. Numbers drawn were 14,16,25,28. Congratulations to Beatrice May who was our only match 3 winner. 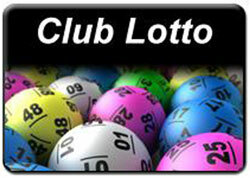 Members are reminded if they would like to sign up for lotto to please contact any of the lotto committee. 1. P. Casey, 2. Ml. Barrett, 3. Ml. Fahy, 4. Christy Burke. Ladies: 1st Sheila Mahon (36) 40 Pts 2nd Ann Treacy (19) 36 Pts CSS 36 Pts. Conditions were not exactly ideal at Galway Bay Golf Resort for the final Saturday Club outing of the year but over 50 golfers braved the strong winds while a bit of rain moved in towards the evening. It was a great honour for the Saturday Club to have Club President Sr Agnes Curley, Captain Rae Gilmore and Lady Captain Kitty Monaghan present for the outing. All spoke about the benefit the Saturday Club brings to Tuam Golf Club over the winter period. The Saturday Club Captain PJ Murphy thanked all who had played over the winter season and described it as a most enjoyable privilege. He announced Gerry Murphy as the incoming Captain of the Saturday Club. In trying conditions, Dave Burke led from an early stage and his score held firm right to the end. He beat Bernard Brady, last year’s winner, on the breakdown. Congratulations to Noel Higgins on an eagle at the 13th and he was awarded Sr Agnes’ special prize of two bottles of quality wine in a presentation pack while Ja Kelly was the winner of the visitor’s prize and it is great to see him back playing golf once more. Result: 1, David Burke (5); 2, Bernard Brady (17); 3, Martin Murphy (13); 4, Michael Cullen (9); 5, Jack Treacy (22); 6, John O’Halloran (18); 7, Declan Tierney (22); 8, Danny McGrath (6); 9, Brendan Cummins (19); 10, Liam Tully (13). The President was “blown away” with the care taken of her as she battled the “storm” coming in off Galway Bay!!!! !